Jinsy Magazine is a multipurpose WordPress theme built on Argon design. The theme is fully responsive and provides a ton of customization options that give you the flexibility you need for a unique brand. To keep pace with the latest technology, Jinsy Magazine is fully compatible with the popular Elementor and Gutenberg page builders, and will work seamlessly if you plan to use it for Ecommerce. The theme was created on a single-page layout and comes with elegant parallax scrolling. The blog page has a grid system and lets you set from 1 to 4 columns with articles, also multiple articles from the same category can be set as featured posts. Jinsy Magazine is an optimal choice for startups, small businesses, agencies, magazines, news sites, and online shops. 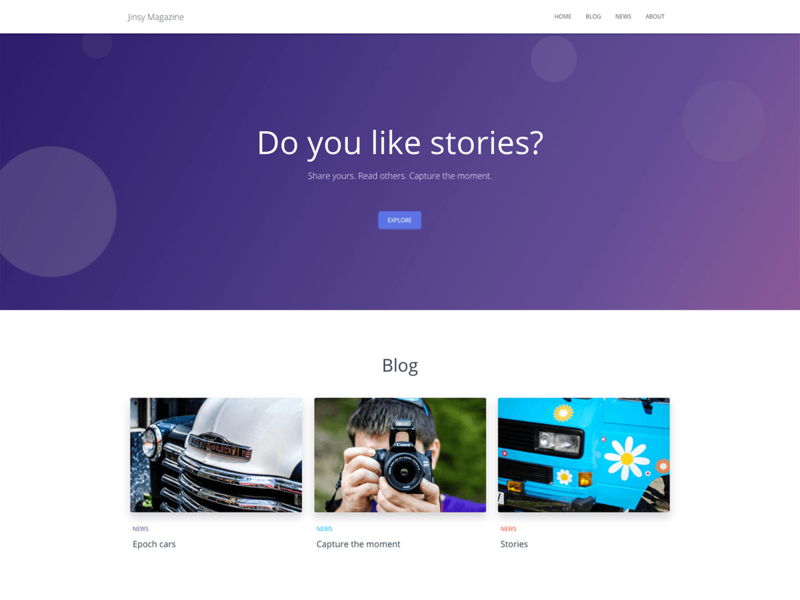 Overall, a friendly and modern theme providing custom sections and typography, catchy animations, call-to-action forms, and a lightweight interface. Moreover, it was built with SEO in mind.